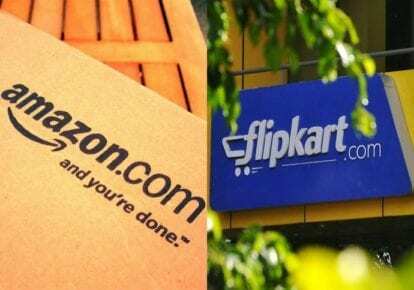 Amazon and Walmart-owned Flipkart have demanded the government to extend the February 1 deadline to comply with recently announced changes in the foreign direct investment (FDI) policy for e-commerce, according to people with knowledge of the matter. Flipkart confirmed this in an email. “We are working diligently to assess all aspects of the Flipkart business in an effort to ensure full compliance with the new rules, but believe an extension is appropriate in order to ensure that all elements of the new Press Note are clarified and a smooth transition for marketplace participants occurs without any disruption for customers and small sellers,” a spokesperson said ET. While Amazon has demanded for a time until June 1, Flipkart has asked for six months, said the people cited above. The latest provisions announced on December 26 have shaken the e-commerce industry as it requires sweeping changes in the business model. These were set up following longstanding complaints by local brick-and-mortar traders and retailers alleging that overseas-owned online marketplaces were violating the existing policy by influencing the prices of products, indulging in deep discounting and indirectly employing an inventory-based model. An Amazon India spokesperson said that the company is evaluating the circular and has no further comment to make. In its letter to the Department of Industrial Policy and Promotion (DIPP) on Tuesday, Amazon said it would be difficult for the company to comply by February 1 as this involves extensive overhauling of its business model and systems, said the people cited above. The US giant also alleged that when Press Note 3 of 2016 came into effect, the government had consulted all stakeholders, hence there had been time to bring about the necessary changes in order to comply with it. Such consultations weren’t held this time, as per the marketplace. It told DIPP that every contract the company has with partners will have to be renegotiated. Since there was no prior consultation, the company needs time to carry out the necessary changes, it told DIPP, according to the people cited above. The updated policy clearly bars any entity related to the marketplace or any group entity from selling directly to the consumer, according to the press note published by DIPP on December 26. The US-India Strategic Partnership Forum had earlier stated that the updated FDI norms show a lack of predictability in the regulatory environment and could make their way into the long list of trade issues that the country is trying to resolve with the US. The Confederation of All India Traders (CAIT), a domestic lobby, has opposed any move to delay implementation of the norms. Two clauses, in particular, necessitate sweeping changes, said the people cited above. Firstly, no vendor can have equity participation by the marketplace or its group companies. Secondly, the inventory of a vendor will be deemed to be controlled by the marketplace if more than 25% of the vendor’s purchases are from the marketplace entity, including its wholesale unit. The marketplace entity or its group companies cannot have control over inventory under the FDI rules. Amazon and Flipkart purchase goods in bulk at cheap rates from manufacturers through their wholesale entities — Amazon Wholesale and Flipkart India Pvt Ltd — and sell them to companies or preferred sellers, which are companies in which the e-commerce company or a group entity may have an equity stake. The government has said that there is no change in the e-commerce policy and that the press note published last month only reiterated provisions to ensure better policy implementation in letter and spirit.